Following a complaint filed against Karnataka Chief Minister Siddaramaiah in the Anti-Corruption Bureau (ACB), Janata Dal (Secular) leader and former prime minister H.D. 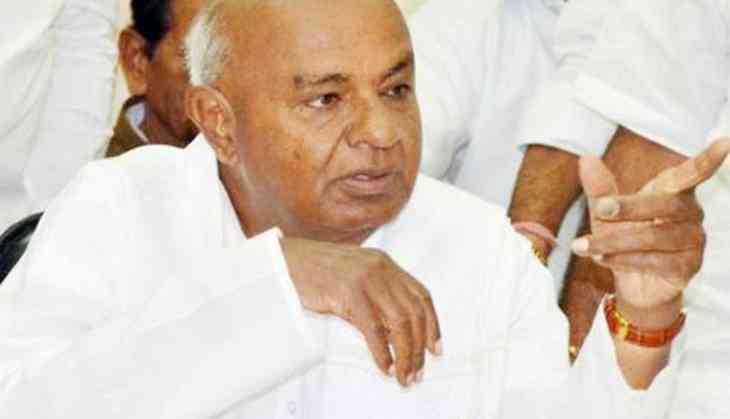 Deve Gowda on Tuesday said that he would rather wait for the final report than to comment on the issue. Speaking to ANI, Deve Gowda said, "There are several complaints filed against the Chief Minister. I do not want to comment on it now, but rather wait for the ACB to give the report on the issue." Yesterday, a complaint was filed against Siddaramaiah with the ACB for indulging in corruption over the cancellation of liquor licences throughout the state. In his complaint, Ravi Krishna Reddy, a member of Lanchamuktha Karnataka Nirmana Vedike, had alleged that corruption took place in the exercise of renewing and cancelling liquor licences after the Supreme Court ordered ban on the sale of liquor on highways to avoid deaths due to drunk driving. Through his complaint, Reddy has urged the ACB to probe the matter and question those involved including the Chief Minister, who heads the ministry himself.